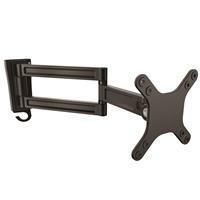 Wall-mount your computer monitor or flat-screen TV to free up space on your desk or table. 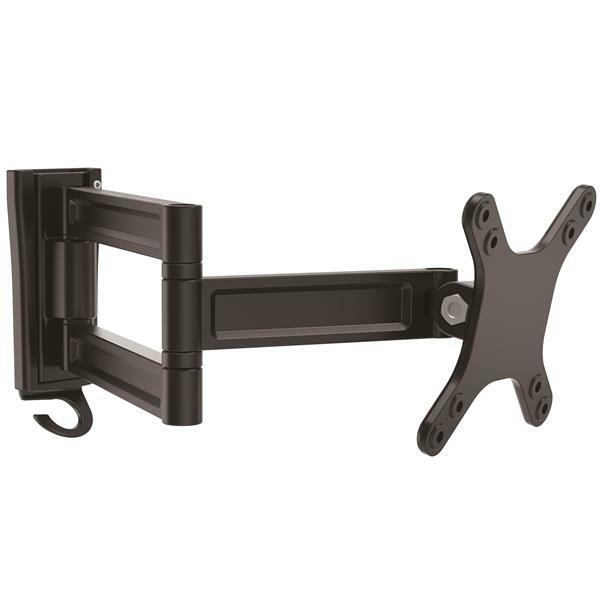 This wall-mount monitor arm supports flat-panel displays up to 27” and provides a full 15” (382 mm) arm extension for optimum screen adjustment. 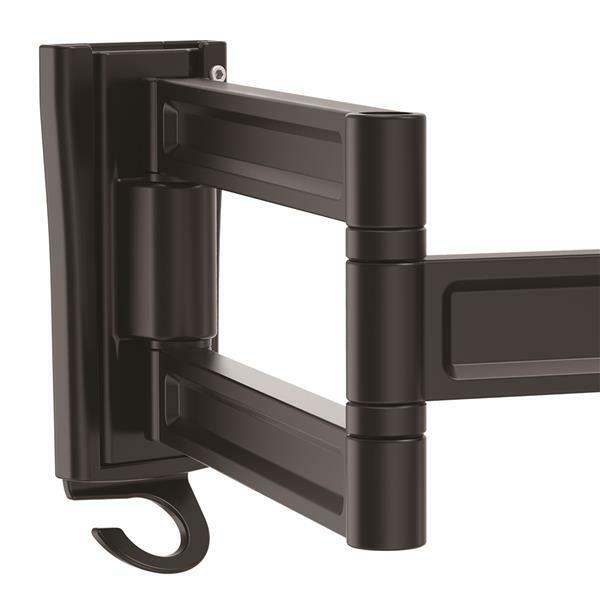 The pivoting arm swivels +90° / - 90°, plus tilts and rotates to provide maximum viewing flexibility. 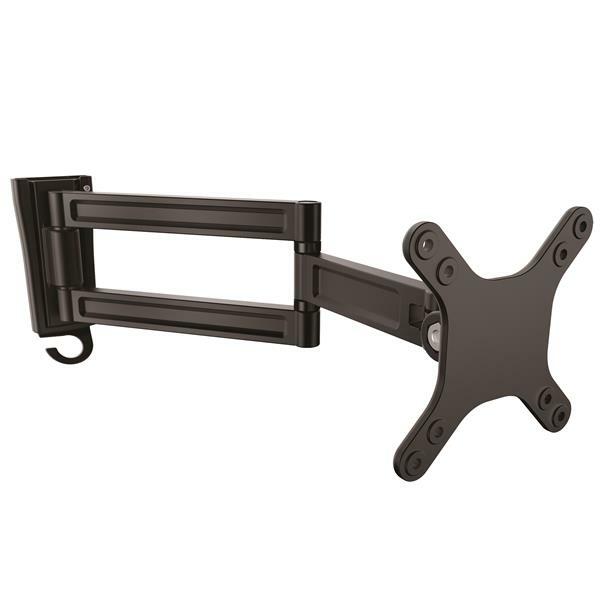 This monitor arm helps you save space on your desk or table surface, by letting you securely wall-mount a computer monitor or LED / LCD TV from 13” to 27” (330 to 686 mm) in size and up to 33 lb. (15kg) in weight. It’s ideal for many different applications, including business, healthcare or financial settings, where you may want to share your screen with patients, clients, or other visitors. 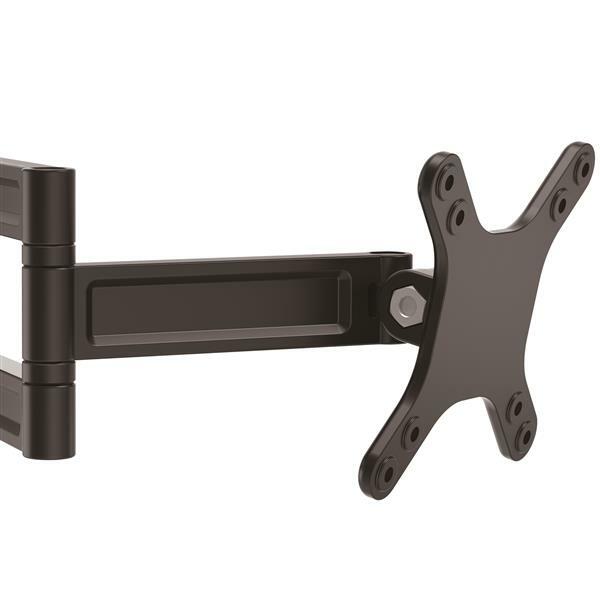 The wall-mount monitor arm also works well in office settings or workspaces that back against a wall. The monitor arm extends a full 15” (381 mm) making it easy to change your screen position, so you can work more comfortably or share your screen with others. 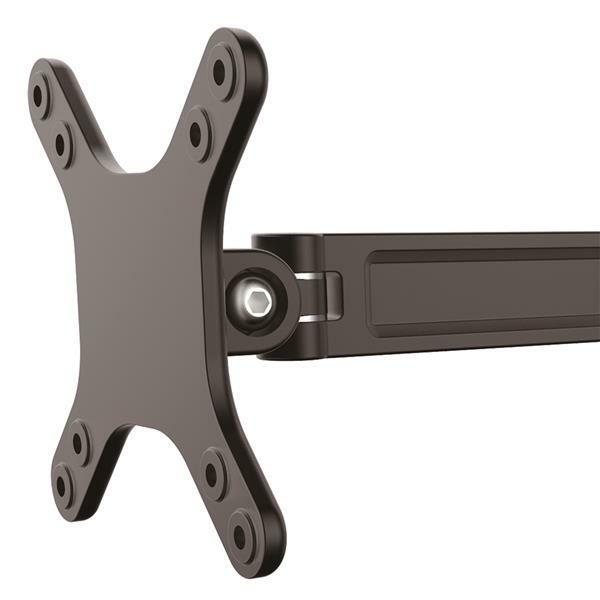 The dual-swivel arm offers a full +90° / - 90° swivel, to move your screen easily to the left or right and share your screen with maximum viewing flexibility. 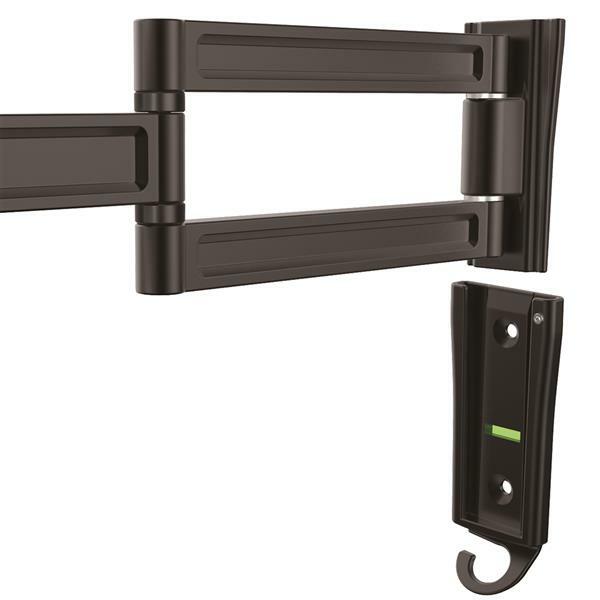 It tilts freely +70° / - 70°, allowing easy angle adjustment up or down to share your display, while collaborating with team members. 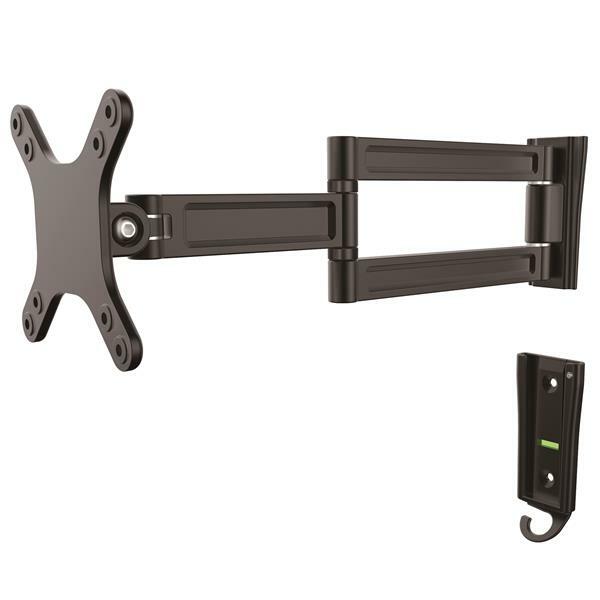 The aluminum wall-mount monitor arm features slide-in wall plate construction for easy installation. To help keep your work area free of clutter, the monitor arm also features a cable clip that keep your cables neatly out of sight. The ARMWALLDS is backed by a StarTech.com 5-year warranty and free lifetime technical support.